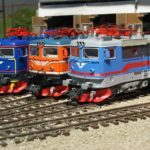 ‘Kato’ is a brand which manufactures railroad models and equipment. The company has its origin from the country of Japan and the ‘Sekisui Kinzoku’ is the parent company of Kato. 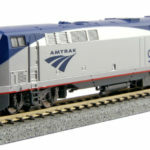 They manufacture railroad models in accordance to the country, for instance USA prototypes for the market in America and prototypes of Japan for the market of Japan. 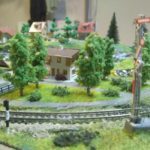 The N scale model for the railroad by Kato is extremely popular among the hobbyists. 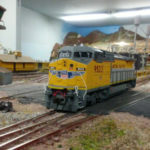 N scale refers to the distance which is situated in between the rails usually 9 millimeters. 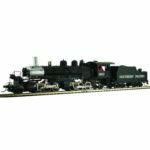 This version of the railroad models gives an advantage to the enthusiasts to build up the layouts in such a manner that it will consume minimum space and effort in comparison to the HO scale of the models. 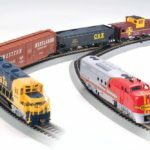 The N scale models are comparatively smaller in size and dimensions than the HO models. 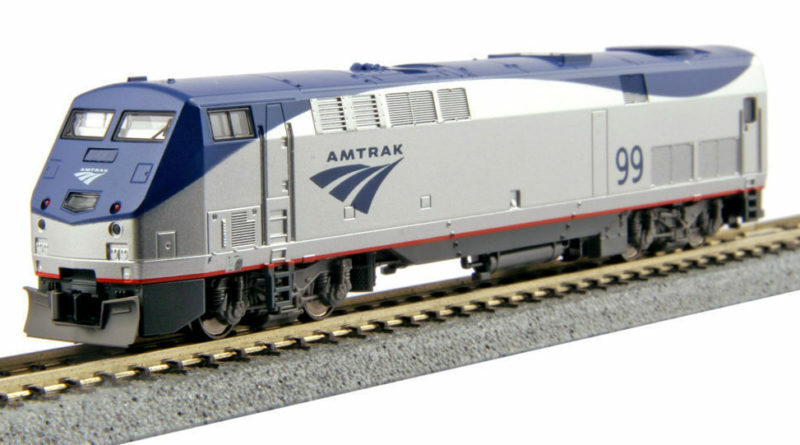 This is an N scale uni-track train set from Japan consists of interior lights and number plates which can be changed along with sleeper cars 25 24 inclusive of lights on the interior. 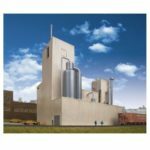 This set is specially designed for the beginner level of hobbyists and can be used by experts too. The 9 mm track is provided to you with a high level of stability and quality. 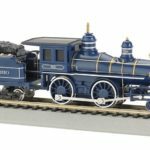 The materials used for brining this set to you are elite quality nickel silver and the uni-track has been constructed in such a way that it can be combined with other N gauge railroad tracks. This is an interior lighting kit /w a LED Version 2.It can be utilized to light up any N scale Kato Business car, RDC or a Passenger car. 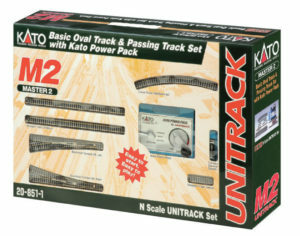 It is designed to use with N Scale Kato Unitrack. It follows a plug and play procedure thus saving you valuable time. This design is specially manufactured to run the locomotive and accessories such as the turnouts, switches including other Kato equipments. It can be used for multi train control combined with a block system and with a digitarx too. Carrying your n scale cars can be a big issue when travelling but this is made easy with the ‘Kato N scale carry case A’ which has the capacity to store 7 Cars at a time and it also consists of foam inserts which are removable. 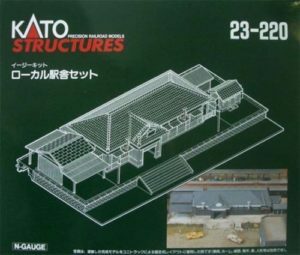 The Kato 23-220 Rural Railway Station Kit is a N scale Building which consists of a rural station building with a toilet block and waiting room including some stickers which are self adhesive. 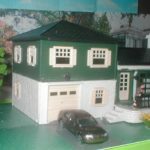 It comes with parts that are easy to assemble thus making it a quick build up. It comes with a pre wired crossing points and concealed point motors inside the roadbed. You can easily operate the switches thus preventing the mounting process under the tables.